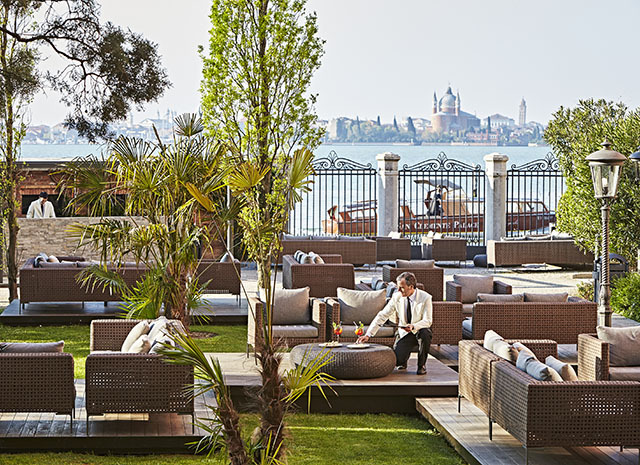 Opened in 2016, the San Clemente Palace Kempinski is a stylish and gracious 190-key hotel that is the only “occupant” of an entire island in the Venice lagoon. At the heart of the island is a 15th-century church that was enlarged into a monastery and, in the 19th century, into a hospital. These grand buildings are now the San Clemente Palace Kempinski, complete with its grand lobby, gorgeous guest rooms, an array of restaurants and bars, pool, golf holes, and conference facilities. Most spectacular is the 1,800-square-foot San Clemente Suite (fashioned from what was formerly the hospital laundry), complete with its private boat dock. The San Clemente Palace Kempinski runs constant boat service to and from St. Mark’s Square…a 10-minute whizz through the lagoon.